Aaaah… summer’s in the air! With the LONG winter we just had, this nice weather is a refreshing and long awaited change. With summer months come frozen treats. That means I’m on the prowl for dairy-free and peanut-free treats for Kay that we can also enjoy. Freezies can only go so far with me, although they’re good enough for her and her peers. Dairy-free ice cream is usually a tricky one to find. Some of the frozen treats out there may be creamy enough to pass for an ice cream substitute but are lacking in taste, or vice-versa. So it’s usually quite a process for me to find a really good and creamy dairy-free ice cream. 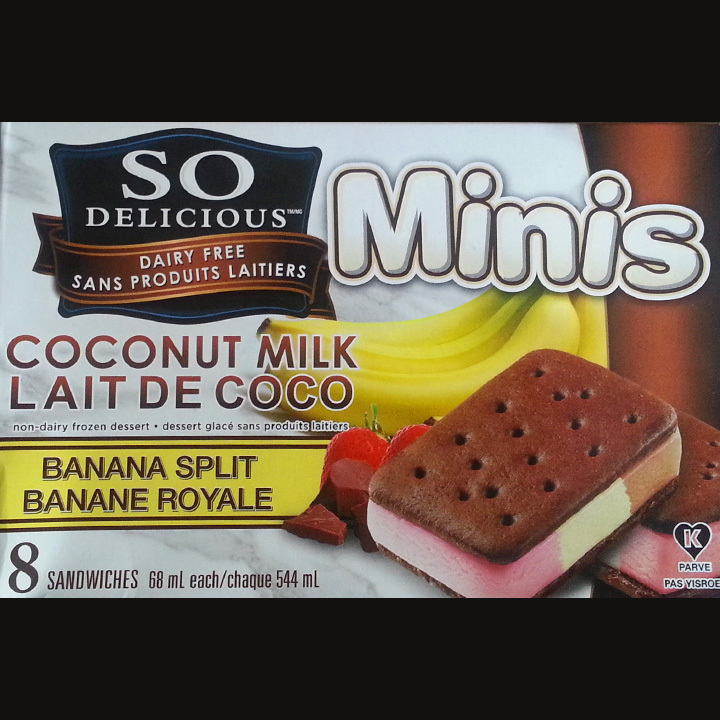 I recently came across So Delicious Coconut Milk Minis and thought they’d be great for her to try out. The size is just right for her (sometimes just enough for me too). 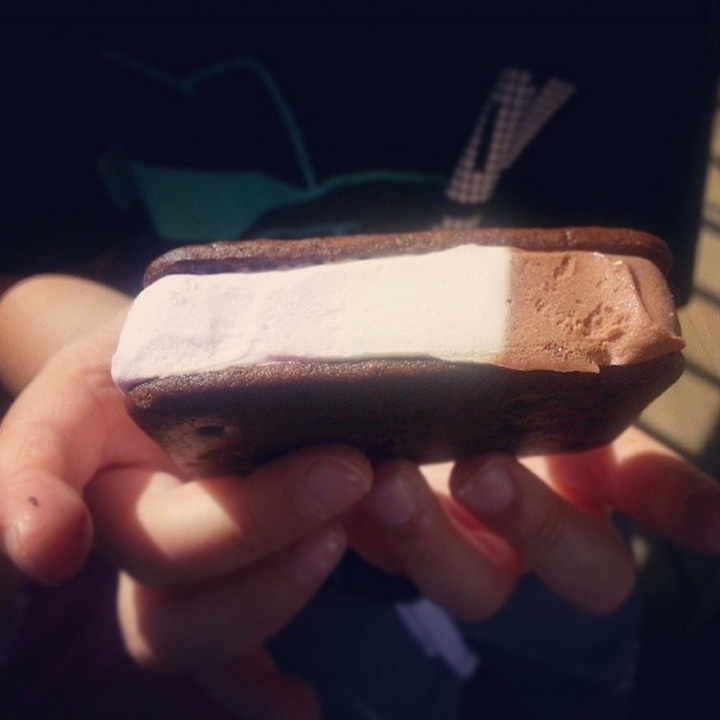 They look like mini ice cream sandwiches and come in two flavours: vanilla and banana split, which looks like neopolitan ice cream. We tried the Banana Split together and really liked it! It tastes like bananas mixed with strawberry and chocolate. I’ve had other vegan ice creams before and in my opinion, coconut ice creams are rich, creamy and the closest in texture to dairy. Two thumbs up for me!